Well kiss my grits! We first broke the news about ten days ago that Warner Archive was hinting that they are releasing Alice: The Complete First Season as a MOD title, but now we have an actual release date! And that date is...TODAY! Talk about working fast! We broke the news yesterday evening (early to rise, indeed!) on Twitter, Facebook and our message boards that the first season will be released today, June 12. All 24 episodes from the freshman season will be available to finally own! "...And if things work out she's going to stay awhile." And they sure did, resulting in "new girl" Alice sticking around for a triumphant nine-season (1976-1985 on CBS) run that saw this new style sitcom become the standard bearer for the next generation of TV comedy. Alice is the story of Alice Hyatt (Linda Lavin), a recently widowed single mom who finds herself working as a waitress at an Arizona diner while caring for her pre-teen son, Tommy (Philip McKeon). The inimitable Vic Tayback plays Mel, the gruff owner of the diner, while Beth Howland and Polly Holliday play her co-workers, neurotic Vera and no-nonsense Flo. This 3-disc, 24-episode collection collects the entire first season of the Bicentennial-era break-out hit, including the rarely seen pilot episode featuring Alfred Lutter from Alice Doesn't Live Here Anymore, the film inspiration for Alice. Guest stars include Batman's Adam West, Victor Buono, and Dark Shadow's Lara Parker. Order today from Warner Archive and also view a clip from the DVD above! 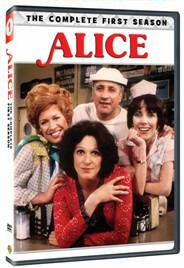 Stay with us later in the week for our DVD review of Alice: The Complete First Season. And as always, join us Saturday for our weekly Digital Digest for a complete wrap-up of the week's digital news! The new Dallas premieres tomorrow night on TNT with a two-episode premiere starting at 9/8c, but fans craving the original series or new fans curious to see the classic series after watching the revival will have a chance to watch the classic series! Cable network CMT, which has previously aired a few marathons of the classic, will salute the classic series by airing a marathon of the original series the day after the premiere of the updated reboot. 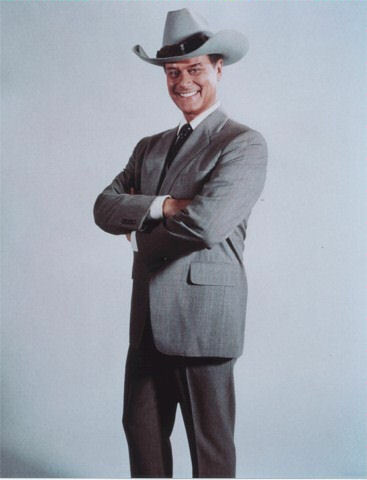 CMT will air the first five episodes of the classic Dallas from 12pm-5pm on Thursday, June 14. They also have plans to air additional episodes next week, as of now Tuesday at 6 and 7PM (but they could expand that). Dallas had it all. Beautiful women, expensive cars, and men playing Monopoly with real buildings. It had the best trans-season cliffhanger in history that had the whole world asking "Who shot J.R.?" Dallas is an important part of American History, if not world history. Tune in to the new series on Wednesday at 9/8c on TNT and then relive the first five episodes of the classic series on CMT on Thursday from 12-5pm ET! The new Dallas stars Josh Henderson, Jesse Metcalfe, Jordana Brewster, Julie Gonzalo and Brenda Strong, and they will be joined by iconic stars from the original series Patrick Duffy, Linda Gray and Larry Hagman as J.R. Ewing.